Relegated to the mid-range market, seeing that their specs no longer deem them to be high-end smartphones, both the HTC Desire HD and Incredible S are getting some much-needed love in the form of software updates bringing along the usefulness of HTC Sense 3.0. Yes folks, it’s getting the snazzy update that brings along all of the wonderful set of features that are on full display with devices like the HTC Sensation 4G and EVO 3D. At the same time, they’re being moved up to Android 2.3.5 Gingerbread. Although they’re no longer considered the cutting edge devices they were once perceived to be when they first launched, the update should naturally appease many people. Meanwhile, the lonely HTC Wildfire S is apparently getting an update to, that brings it up to Android 2.3.5 Gingerbread as well – albeit, it’s still stuck on the HTC Sense 2.1 experience. Now don’t get all fussy, especially when it might not be getting the same amount of love, but it’s actually being blessed with the Sense 3.0 lockscreen. So at least it’s getting that consolation! As usual, if you haven’t seen that notification popping up on your handset, you can simply initiate the process yourself manually by checking for updates under the Android settings menu. So will my Inspire be getting any love? It'll get an update years after it's released on the DHD. Or you could just root and S-OFF, and then get the Sense 3.0 ROM? I've been running a leaked version for a few months already, and I can update to the final Sense 3.0 base 3.12.405 whenever I want. Never count on carriers to deliver updates. 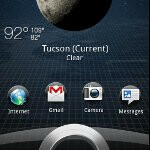 The Inspire 4G already has a Gingerbread update, but if you want HTC Sense 3.0, just download the ROM. If you don't want to download it but still want the Sense 3.0 unlock-screen, download the latest widget locker. The GB update took years to come out for the Inspire that the DHD already had for around 4 or so months. I hope it comes to the Inspire sometime soon too... and hopefully this isn't a consolation for a later revelation that there won't be an ICS update for us after the "1st wave" of updates. And ICS is suspected to come to the Desire HD with Sense 4.0.
amen to that. I guess that is why my next phone will probably not be an HTC regardless of how much they supossedly upgrade. They seem to create a totally incomplete warehouse of phones. Some phones can do this while others are left in the cold and then wow they are capable of doing it. Thus, I think they are disconnected. My Thunderbolt should have been upgraded lots ago. I can tell you for sure, CM9 will support this device, and we can expect to see at least GB Sense 3.5, if not ICS Sense 4.0. See, at least HTC has the Sense (lol) to update its international models all at the same time. I fail to see why the Incredible S and Desire HD shouldn't have got updated to sense 3.5, the HTC Rhyme has 3.5 and runs on the same chip. 3.5 really is a huge step over 3.0 in terms of stability. the Incredible S has gotten a really s**t Sense 3.0 update, it is a poor resized and scaled WVGA version of the qHD sensation ROM. Virtous Unity did 100x times better job at it long time back, resizing each and everything properly.I'm going to enjoy Sense 3.5 runnymede ROM on my Incredible S until I get a GSII :) HTC should have just released proper driver source code instead of an update, at least we could use AOSP ROMs with minimum bugs then.